The backdrop is the key success factor of each image. It is important to have attractive product image backdrops to lure customers to them. The backdrop has much significance in this regard – a professionally edited background will make a product tempting to buyers. There is no rule of thumb that e-commerce product images should have white backdrops only, it is just the common perception in the industry. If you are using them in your website, which does e-commerce transactions, then you can also decide to have subtle backdrops that do not take the attention away from your products. By getting the backdrop changed professionally, the photo’s appearance can be made to look perfect. In fact, the ultimate aim of each and every clipping path service company is to modify or add ideal backdrops to photos. Backdrop removal is a method or technique, using which, they can edit, remove, modify, or add the background that suits subject or objects. The background removal service works wonders in plenty of niches such as collage making, wedding photo album creation, modifying old photos into new ones. Although they are niches, as opposed to the service for e-commerce product images, many clients still approach service providers for the tasks. Why not approach a clipping path service company to preserve your old photographs? After all, old albums that comprise photos of your family and friends are like memories that shall be passed on to the next generations. So if you have old photos, which require a bit of editing or adjustments, then it will be a wise thing to outsource the tasks to professionals in the photo editing industry. What’s more, with the help of different backdrop removal techniques at the disposal of clipping path service providers, you can also restore photos having torn backdrops with a whole new dimension. Once the actual photo shoot is completed, backdrop removal becomes very significant, as a few distractions tend to feature in the images while photographing. In order to take out those image imperfections, backdrop removal comes in handy and ultimately you get gorgeous outputs. By getting rid of minute imperfections from images’ backdrops, you can change how people will look them. 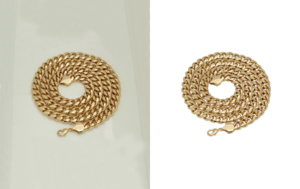 Besides backdrop removal, you can also avail many other techniques to enhance photos from a clipping path company, such as adding filters, changing the brightness level, contrast, adding drop shadow, and altering the backdrop altogether to add a new one.